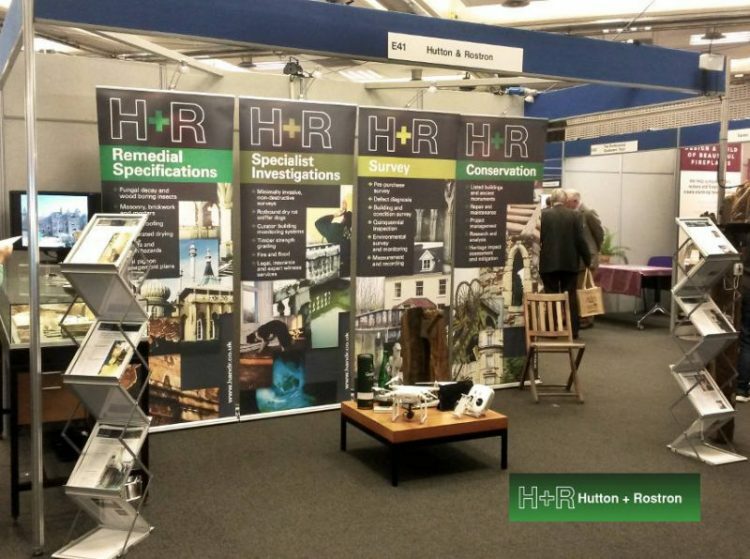 The month of November saw the annual return of H+R to the Historic Houses Association AGM and exhibition. It was an opportunity for new members of staff recruited in the year to meet the wider conservation community and the H+R stand featured Wilson the Rothound, the uprated drone and presentations on newly developed survey techniques. Noteworthy project work in the month included Twyford Abbey – an 1800s ‘Gothik’ mansion which has been rescued just in time prior to complete failure, Toynbee Hall – the famous centre for social concern in the East End of London, Pennington Street Warehouse, Docklands – the longest 18th century warehouse in the world, Little Sodbury Manor and Burghly House. A significant investment in the month involved the purchase of a specialist working dog transit vehicle to facilitate transport of the Rothound pack. The comfort and welfare of the Rothounds is paramount.